The Argentine tango is a partner dance, leaded by the man, improvised with only a few elements. Before talking about styles, we have to know, that only a few elements are the proper ones of tango argentino as caminar afuera. The outside walk in property of argentine tango. The walk inbetween the ladies legs belongs origanally to american tango. Other tipical elements are el cruze (the cross), gancho (leg hook), ocho por adelante y por atrás (eight forward and backwards), voleos, sacadas, giros, cortes y quebradas, llevadas de pie, also named barridas. The pure and very tipical part of the argentine Tango is the very rich footwork and legwork. As rhythmic movements and games, like marking the rhythm by heeltaps, a very old way to dance Tango, such as ganchos, sacadas, ochos, llevadas and voleos. This tipical elements are just part of argentine tango and differences it of each other dance world wide: a rich foot and leg work, dancing by using the legspace of the partner while keeping a constant embrace. 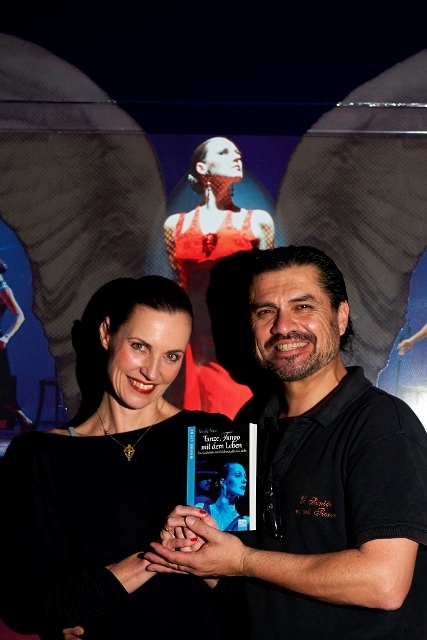 The plenty of figueres the tango argentino shows is just a rich combination of these elements. All combination, as complicated they might be, has to be leaded, when not Tango Argentino stops to be so, because it misses one of its most important princips. Elements can be used even in a half way as the ocho cortado, the cut of eight. The famous sandwich figure, alo named mordida, is nothing else than a half ocho backwards, the beginning of a leeding of feet without doing it, and a resolution by the ocho forward. After beeing sure wich elements are the proper ones of Tango Argentino, we can start to talk about style. Tango stops to be Tango Argentino when these proper elements gets lost and influences of other dances and disciplinces as Jazz Dance, Acrobatic, Classic Dance, Modern Dance, Contact Improvisation, etc. gets more important than the argentine tango elements. We might name it then pas de deux to Tango Music, for example. Tango tradicional a very pure and early form of tango, on base as wealking rhythmicley, nos on the beat but with rhythm. Tango con corte y quebrada: Tango which adds cortes and quebradas, cuts and breaks. The quebradas later on has been put in a more esthetic style (estilizar) and are today known as poses de tango, Tango Positions. Tango de fantasía: This style is settled in the years 40 to 50. It refers on music, dance and dresses. 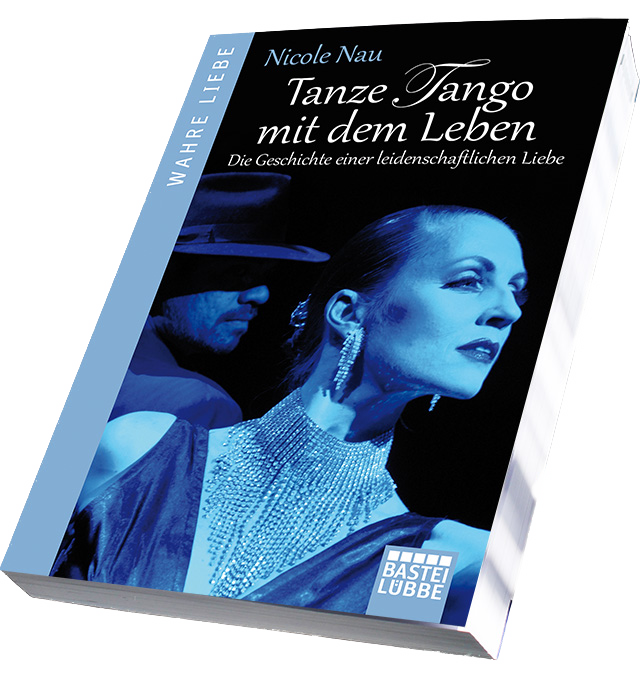 The term trys to describe all tangoform which is different of the traditional one: In dance couples added little sits and fast footwork, doing fantasies as popular people named it. The men siute with a white border is named traje de fantasía. In music Osmar Héctor Maderna got named tango de fantasía due of his arrangements which conceiveed fancy solos. In argentine Folklore at the same time people fix a similar expression to describe non traditional Folklore with the name folklore de projección. Tango acróbatico: here acrobatic movements are performed to Tango music. A way of dancing with influences further than Ballett as Modern Dance, Gymnastic, Dance on Ice, Jazz, Circus, Acrobatics and Contact Improvisation with lifts, and figuers of effect. First this form is created by Eduardo Arquimbau in Forever Tango to interpret Tango music by non Tangodancers Miriam and Sandor in the Show Forever Tango. Sandor was member of a Circus Familiy and knew how to do circus and acrobatic acts. This Eduardo Arquimbau uses to get a new performance. The music they danced then was Tus ojos del cielo (Volumen 2 of the CD Forever Tango, on the cover the foto of Miriam). This danceform has been copied later on by many joung dancers on stage. Show or tango de escenario: Show tango, and Tango de Escenario (stage Tango) is a more theatrical form of Argentine tango developed to suit the stage. Movement has to fit on stage forms as diagonals, centre, fronts, light settings, etc. Not necesary but sometimes it includes embellishments, acrobatics, and solo moves. Indead all styles can be performed on stage, only than has to fit with stage necesities. Stage Tango can be improvised in parts but in due to fit general choreographic movements a whole choreography or parts of it has to be fixed. Tango has to be led even on stage, as all forms of Argentine Tango. Otherwise the couple is missing the main princip of this dance and the tango tipic intime conection is missing. This only appears, when he is filling his role (leading) and she hers. Having a Choreography does not mean that he is free of his leading role, he has to lead in order to produce the elements and place them in space and music. This is as important on stage as in a social dance place, but often not taken seriousely. Tango on stage has not be confounded with Tango de Fantasia or tango acrobatico.